Trance Healing – Free Mini Course, How To Connect To Your Spirit Guide! Trance Healing is great for self healing, face to face sessions, and developing your mediumship skills, without a mediumship circle. My name is Daniela, and I’m a Spiritual Psychic Medium. 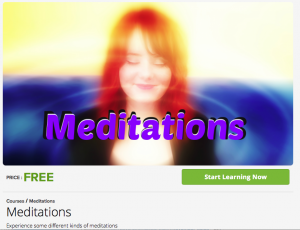 Enjoy this free Mini Course and learn how to connect to your Spirit Guides. So be curious and take a chance and enrol now. You’ll have 10 days access to this Mini course. See you on the other side, for your first step to learn how to connect to your spirit guide. -Are you ready to take the full course?